Market leader Toyota has passed 50,000 new-vehicle sales in 2018 on the back of three consecutive monthly sales records for HiLux and also for the company’s sports-utility vehicles (SUVs). Toyota’s first-quarter sales total has exceeded 52,400 vehicles – the best result for the company and its dealers in a decade. 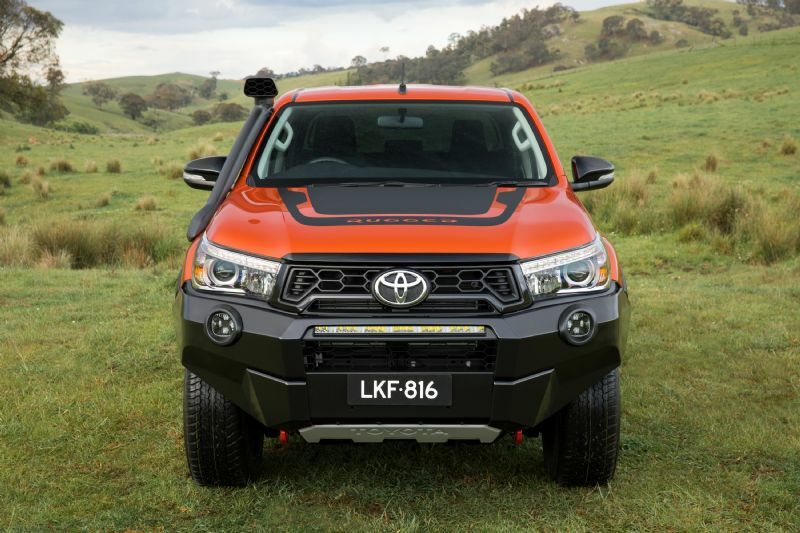 HiLux has extended its lead as Australia’s best-selling vehicle with more than 12,600 deliveries this year, an increase of 22.3 per cent. Toyota’s SUV tally has risen 26.6 per cent to more than 19,100 vehicles with strong results across its portfolio. RAV4 has posted six consecutive monthly records and its sales this year have risen 11.8 per cent to 5,573 vehicles – the highest first quarter in its 24-year history in Australia. LandCruiser wagon sales this year are the strongest since before the 200 Series replaced the 100 Series in 2007. Other notable 2018 SUV successes include Prado sales up 10.7 per cent, Kluger up 41 per cent and Fortuner 67.3 per cent. Corolla is Australia’s most in-demand passenger car with sales topping 9,200 vehicles so far this year. Toyota Australia vice president sales and marketing Sean Hanley said Toyota is the only brand to surpass 50,000 sales in the first quarter of any year. “Toyota has achieved this level of sales due to our broad range of quality vehicles, the industry’s most extensive dealer network, strong customer-care initiatives and the abiding loyalty and trust shown by our owners,” Mr Hanley said.